I love going out on dates with my husband, but ever since we got married, we became total homebodies. We prefer staying home with our fur babies curled up on the couch with a bowl of chips, our preferred drinks (beer for him, ice tea for me), and watching Netflix. Even though we haven’t been married for long, all the stay-at-home date nights consisted of just dinner. I decided to brainstorm a few stay-at-home date night ideas that my husband and I would want to do! 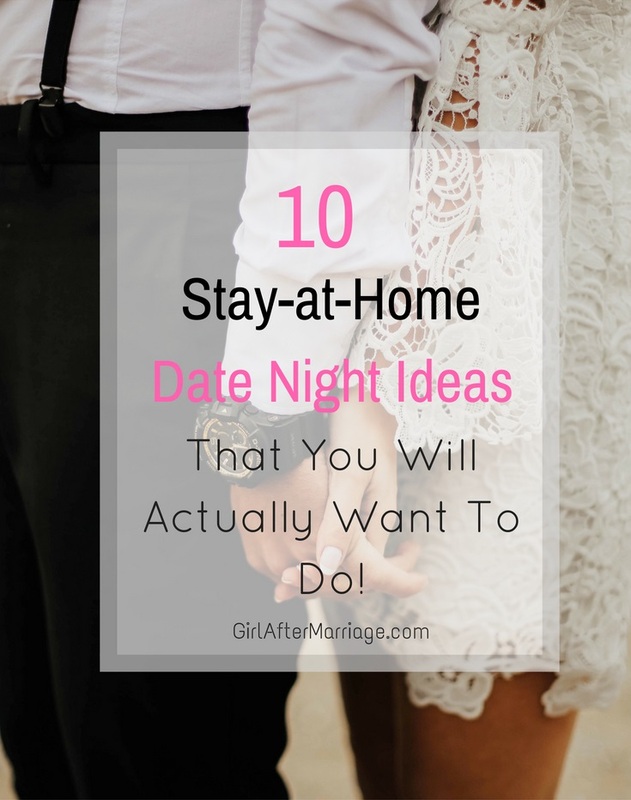 I thought I would share those ideas with my readers, and maybe even give you some inspiration for stay-at-home date night ideas when planning your own! Although going out for dinner sounds like the perfect romantic date, it can sometimes be busy, overcrowded, and in some cases, can get crazy expensive. A romantic dinner from home can be just as better. You and your sweetheart can cook a delicious meal together, drink some wine, light some tealight or scented candles, and if you have it, use the fancy dinnerware. 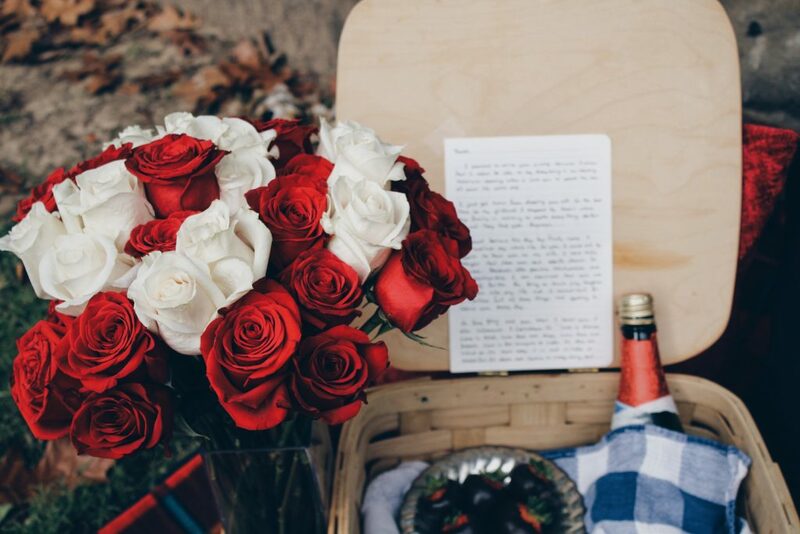 Depending on where you live in the world and what the weather is like, a simple picnic can be super romantic. Gather together some simple finger foods, sandwiches, granola bars, fruit, maybe even make a salad. Grab a blanket and some pillows and set up your picnic in your backyard, on the balcony/patio, or even in your living room near the fireplace. If you’re the type of couple that enjoys playing board games, then why not play a few games together. Nothing is more romantic than some healthy competition! Purchase a variety of fruits and chocolate of your choice to melt. To make it romantic, display the fruit around the bowl of chocolate to look decorative. If you want to be a little extra, add some roses or petals around the plate. Don’t have so much of a sweet tooth? Then make the savoury option, with various loaves of bread sliced, deli meats, and steamed vegetables all dipped in melted cheese. Yum! Movie night at home is just as good as going to the movies. Pick a movie the both of you have been wanting to watch together, and grab some snacks, like popcorn, candy, and chips. Get your favourite drink, or make a cup of tea for you and your darling. Even better, pour yourselves a glass of wine if you’re into that. Honestly, this sounds like the most fun thing to do for a date night. Gather all the blankets, sheets, and pillows you can find, and start draping it over the couch, chairs, hang it from the ceiling, whatever works for you! If you have an air mattress, fill it up and put it inside the fort. Throw in all the pillows and some fuzzy blankets, turn on Netflix, and cuddle up with your darling. Perhaps you can even turn it into a sleepover and spend the rest of the night in your little fort. If you are an old school or crafty couple, why not write or make some love notes to your sweetheart. The romantic gesture of writing a love note is dying out, or at most, very rare. Why not write how you both feel about the other and exchange them at some point in the evening. Not only will it most likely put a smile on your face, but will be a little souvenir to keep. It’s fun baking with your mom, sister, or friends, and in some cases, even your significant other. It can be tons of fun and very rewarding baking something sweet from scratch. Plus, the baking process can get very interesting if your partner isn’t an excellent baker from the get-go. Why not treat yourselves and order from your favourite restaurant! With so many food delivery services available, there are various places to choose from. If the place doesn’t deliver, order ahead of time and pick it up. You can be casual and eat straight from the takeaway containers cuddled on the couch. Or you may set the food out on some lovely dinnerware and have a proper dinner set-up. Have one of those giant puzzles that take hours to build? Tackle it together and spend the next few hours building it with a glass of wine in hand. You’ll need a drink nearby when having to find that one piece among the other 500! There are many other stay-at-home date night ideas, but these are the ones I would personally want to do with my husband and sound the most fun! And the great thing about these ideas is that you can do these with friends, your partner, or even by yourself. Have fun! My name is Nikki, I am a young wife, fur baby mama, and a pink dreamer. 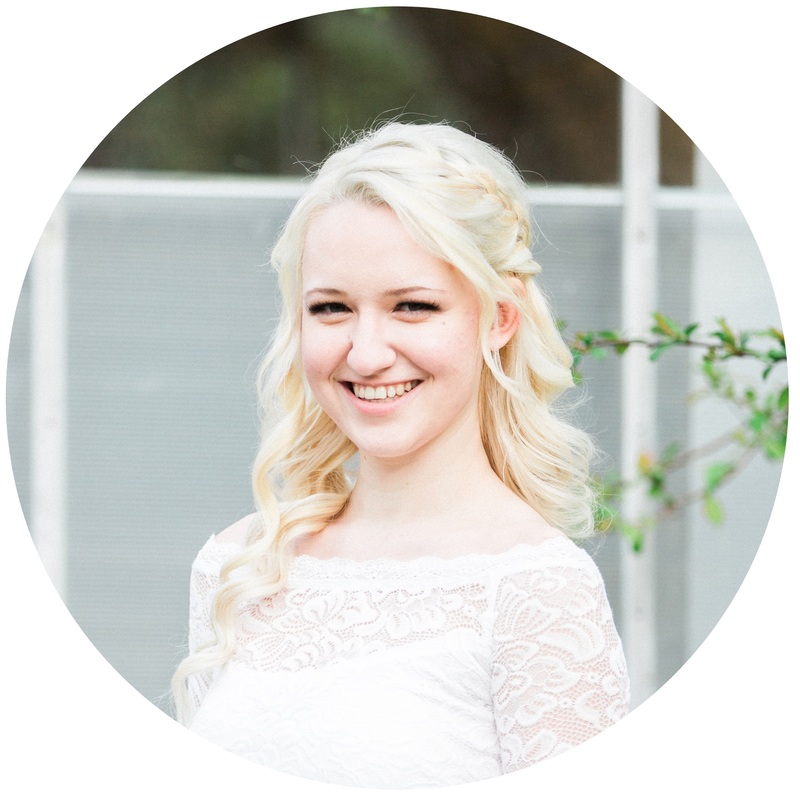 Here on ‘Girl After Marriage’, you can read all about my journey as a newlywed, dating & marriage, becoming a homemaker, and all things lifestyle.